Our task was to re-design the overpass where SR-80 crossed over SR-441. Being that this was an FDOT (Florida Department of Transportation) project we had to adhere to the strict demands of FDOT’s standards. 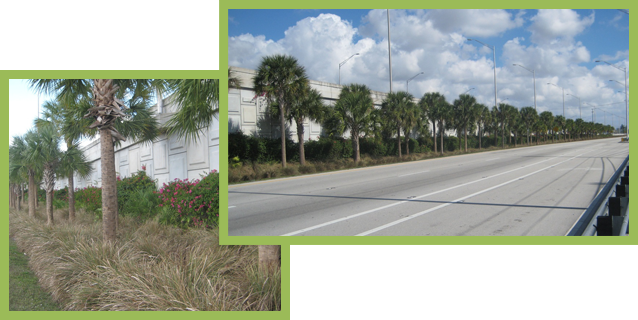 We used FDOT approved plant material to blend the concrete work of the overpass into the landscape. We provided new irrigation in green areas that were entirely new to the project and tied new irrigation into existing green spaces that overlapped the project’s limit of work. While this wasn’t an official FDOT project, we still had to adhere to FDOT standards in terms of clear-sight distances so that cross-traffic views of oncoming traffic wouldn’t be blocked. The project extended all-the-way from NW 27th Avenue to NE 2nd Avenue along Miami Gardens Drive. We used native and drought tolerant plant material to beautify the medians that separated the eastbound and westbound traffic form one-another. 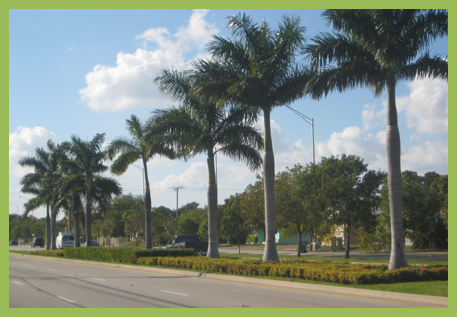 We also beautified the medians separating the drive lines form the frontage roads by completing the rows of trees that the City of Miami Gardens had previously installed. Many of those existing trees had been lost due to hurricanes in the year-or-so prior to the start of the project. New irrigation was provided in order to ensure that the new plant material would thrive.